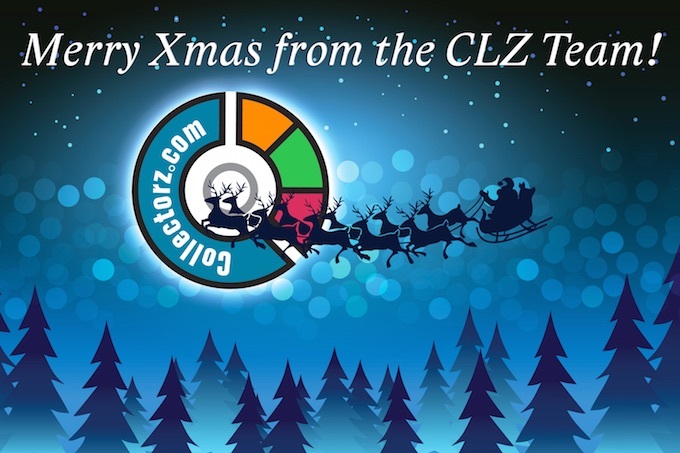 A Merry Christmas to you and your family from the entire CLZ team! On May 13 we welcomed our 30,000 fan on the Collectorz.com Facebook page. Thank you all for connecting with us on Facebook. 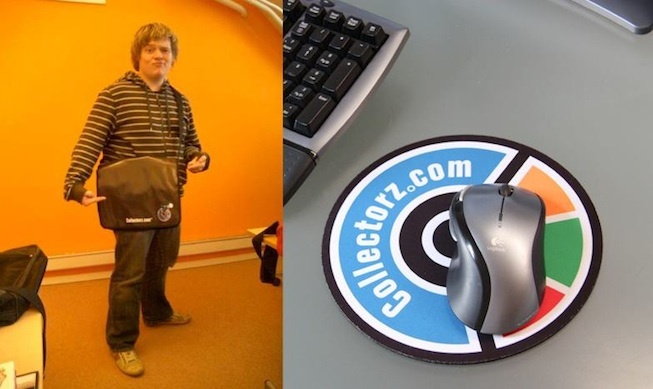 To celebrate, we were giving away cool Collectorz.com goodies: 5 super-rare Collectorz.com bags featuring CC, plus 25 Collectorz.com mousepads (see pic). A very happy Collectorz.com customer has sent us gifts! 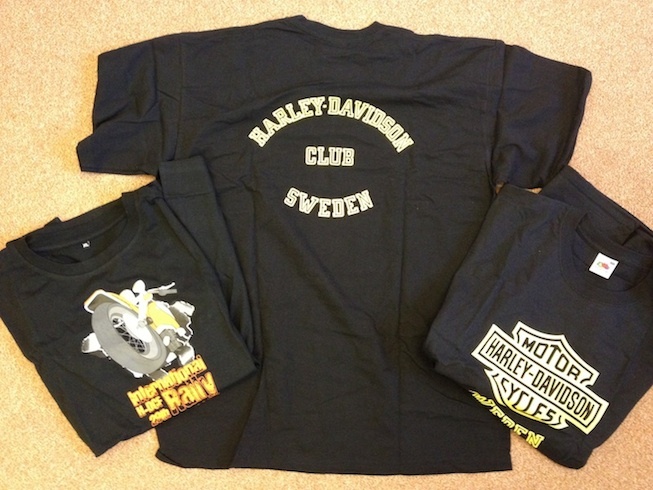 Wow, a big thanks to the Federation Harley-Davidson Clubs Europe in Sweden for sending this surprise. Our Sunday was spent taking new pictures of our collections for the Collectorz.com website. We have been using the same pictures for more than 2 years now and it was about time to refresh them. Alwin’s picture is used on the Music, Movie and Game Collector home, I’m on the Comic and Book pages. We are collectors ourselves. Between us we share close to 800 CDs, 661 DVDs and Blu-rays, 944 comics, 389 books and 528 video games. We are endorsed by Inventory Professionals! Inventory is hot. To know exactly what you have is both fun and gives peace of mind. You probably know this already since you have cataloged your shelves and can find your way in your DVDs, books, comics, CDs or games. Of course it took you time and effort to do so, but time well spent. But did you know that there are people out there who can do it for you? Yes, we’re upgrading the hardware of the Collectorz.com central online database server again. This server is the host of all five online media databases, for movies, books, music, comic books and video games. In other words, this central machine is the source of all search results, the items details and all cover images that you get when using your Add Automatically screen. Our Connect web-apps, the online editions of our software, are also located on this database server. And finally, it runs the online part of the CLZ Barry system. It is this machine that generates your Barry ID for you and what lets Barry and Buddy “talk to each other”. You can imagine how important this server is to us and to you all, our customers 🙂 Ensuring this system is fast and always up and running is essential. So that’s why we’re giving it more powerrr ! Our current Mac OS X developer Dinh has been offered a great job in San Francisco (congrats!) and thus will be leaving Collectorz.com. Which means we are looking for a new Mac OS X developer to help us finalize the new Comic Collector for Mac and to create major upgrades of the Mac editions of Movie, Book and Music Collector. At Collectorz.com, we’re working on a new Mac edition of our Comic Collector software, and on major upgrades of the existing Mac editions of Movie, Book and Music Collector. There are all huge projects and we need more help. So we are currently looking for an extra Mac OS X developer.